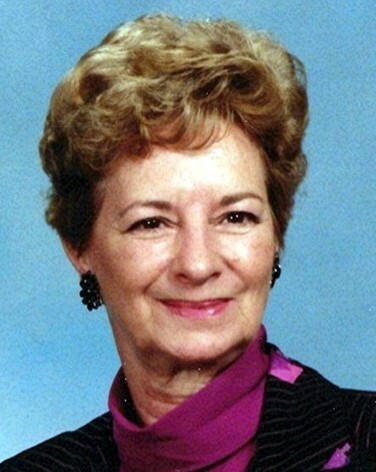 Katherine Alberta (Jack) Frye, age 93, died January 26, 2019. Katherine was born on March 22, 1925 in Liberal, Kansas, and her childhood home was in Texhoma, Oklahoma, in the Panhandle. The Great Depression began when Katherine was 5, and by age 9 she and her family in Texhoma were in the worst of America’s dust bowl. Katherine’s little brother, Sammy Jack, developed chronic lung congestion which threatened to worsen in the dust, leading to the family’s move to Duncan, Oklahoma in 1936. Katherine was a long time resident of Duncan, 909 Spruce St., living there with her parents, Albert S. Jack and Kate Jack, brother Sammy, and later in adulthood with her husband of 42 years, E. L. “Tiny” Frye. All of them preceded Katherine in death. Katherine was a 1943 graduate of Duncan High School and she studied art in college. As a young woman, Katherine became an expert horsewoman, performing rodeo trick riding. Katherine worked for many years in the managerial offices of Duncan’s DX / Sunoco oil refinery. Katherine and Tiny lived their later years in Yukon, Okla. until his death in June 2018. They traveled the world together, and Katherine had special interests in fine arts, classical literature, opera, and Asian culture and art. Katherine led an extraordinary life, and she will be fondly remembered and greatly missed. Katherine is survived by her step daughter, Terry Wright, of Yukon, Okla. who lovingly cared for her during her final years. Others surviving are Katherine’s step son, Kenneth Frye, of Yukon, Okla. and her nephews, Albert Jack of Maitland, Florida, Kenneth Jack of Wichita, Kansas, and Daniel Jack of Edmond, Okla.